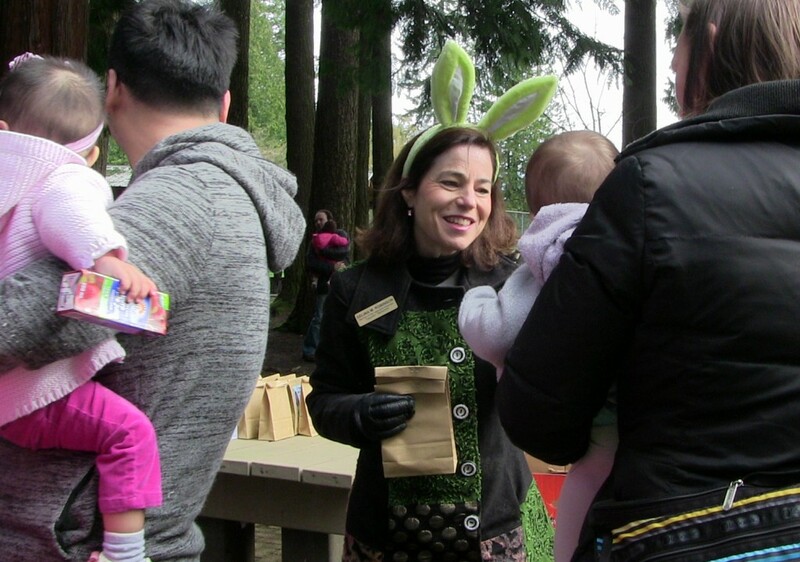 Our 3rd Annual Community Easter Egg Hunt was an ‘eggcellent’ success with approximately 500 people joining us. Children participated in the Easter egg hunt, decorated Easter eggs, had their face painted, and had loads of fun on the Tumblebus. I would like to extend my thanks to Trish Mandewo and the Vancouver Tumblebus for participating this year and providing such quality on-site entertainment. As well, a very special thank you to the Easter Bunny who worked his tail off and provided priceless entertainment for the kids. Last, but certainly not least, this event could not have been such a success had it not been for my amazing volunteers. Thank you! Handing out Easter goodies after the Easter egg hunt. Easter was a busy time. 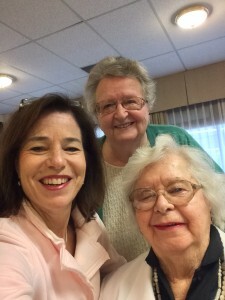 I also visited a number of our seniors’ residences and care facilities and delivered Easter goodies to them – they were thrilled to have a visit from their MLA Easter bunny. Delivering Easter greetings (and chocolates) to residents of Christmas Manor. I joined with Coquitlam Council, 55+ Games representatives and volunteers from across the community to celebrate the opening of the Coquitlam 55+ Games organizing office. The 55+ Games will be here in our community before we know it and they are going to need volunteers to help make these games a success. Do you have some time in September to help out? You can check out the details here. 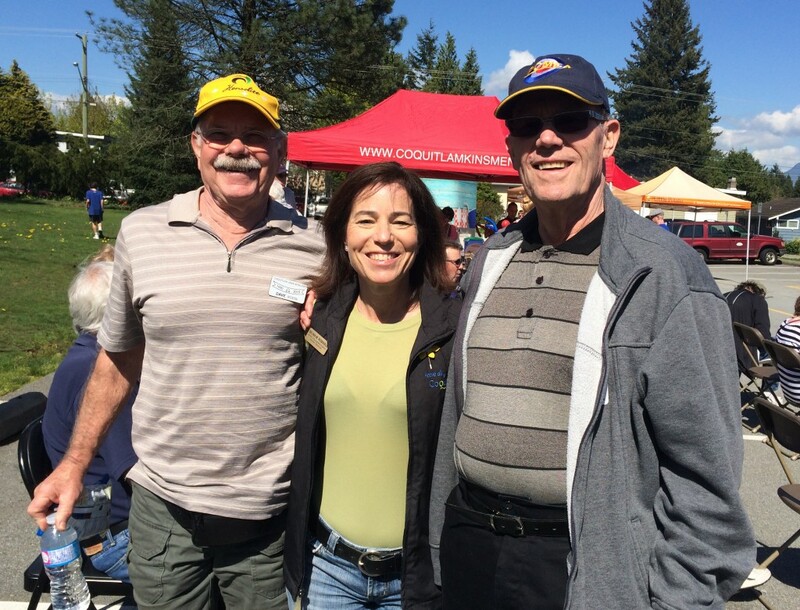 Celebrating the opening of the 55+ Games office in Coquitlam with Dave Rosta, President of Coquitlam Lawn Bowling and Dale Gregory, President of Coquitlam Ice Curling. 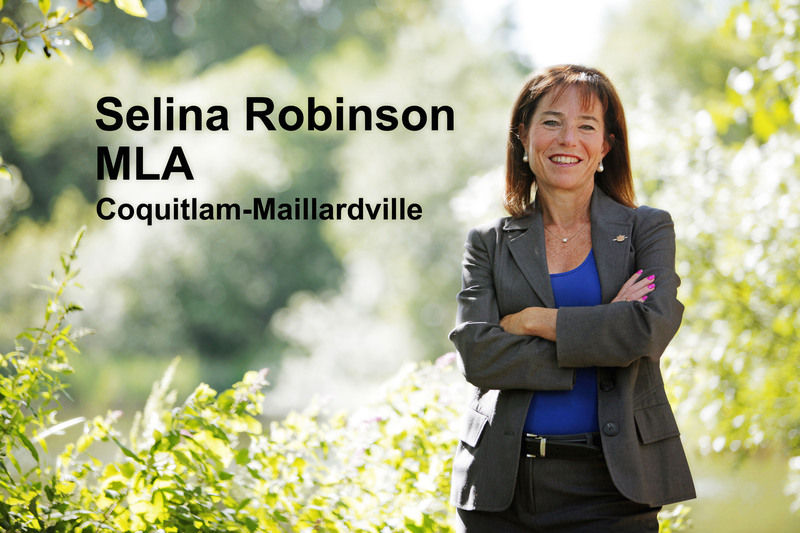 It’s been a busy time for me in the Legislature. This past month I had the opportunity to speak to the Local Election Finance Amendment Act. I have heard from many in our community and around the province who would like to see spending during local government elections reined in. I proposed amendments to ban union and corporate donations from local elections. I proposed that government put in a limit to the amount that any one person can donate to a candidate for mayor, council or school board and I proposed that if government didn’t want to have these limits and bans across the province then at least give Vancouver the authority to do it for themselves, given how much big money is playing a role in those elections. The BC Liberal government did not support any of my amendments; this was very disappointing but not surprising. This month we learned from the BC Seniors Advocate that while the government sets a standard funding formula for seniors’ residential care facilities (3.36 hrs/resident/day) 84% of funded facilities are not getting this minimum level of funding. My colleagues and I had the opportunity to ask the Minister about this discrepancy. I also led on a motion asking government to properly fund care hours in residential facilities – you can watch me make my comments in the video below. April 11, 2016. My Private Members’ Motion addressing standards for care homes. April 4, 2016. Delivering a 2 minute statement on Daffodil Month and cancer awareness. I have another full month ahead before the legislative session ends. In the meantime, I hope to see you at the Investors Group Walk for Alzheimer’s on May 1. Event Location: Start and finish location at Lot E, Town Centre Park, Coquitlam (corner of David Ave. and Pinetree Ave.). Time: 12 p.m. Registration, 1 p.m. – 3 p.m.